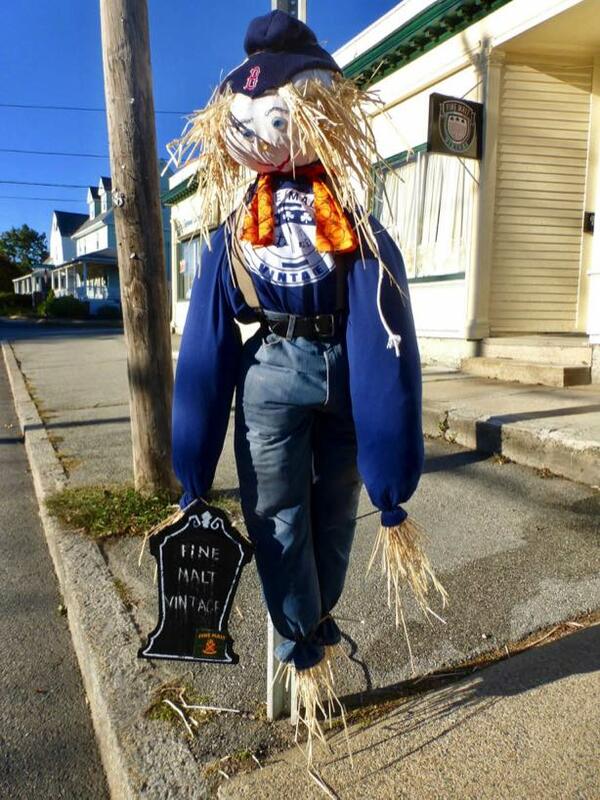 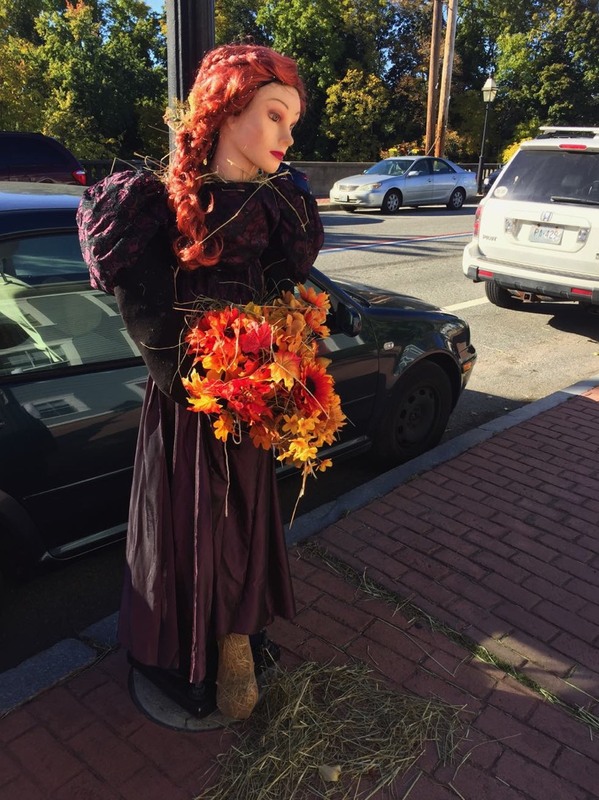 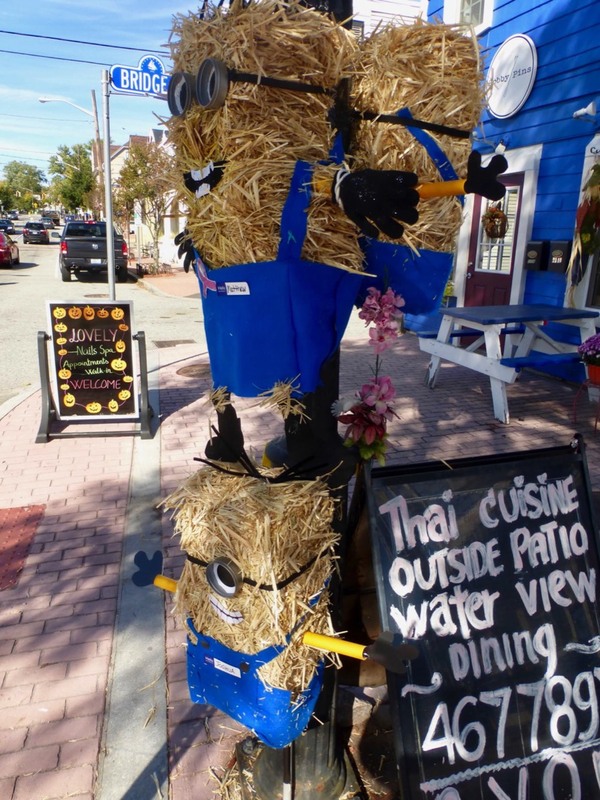 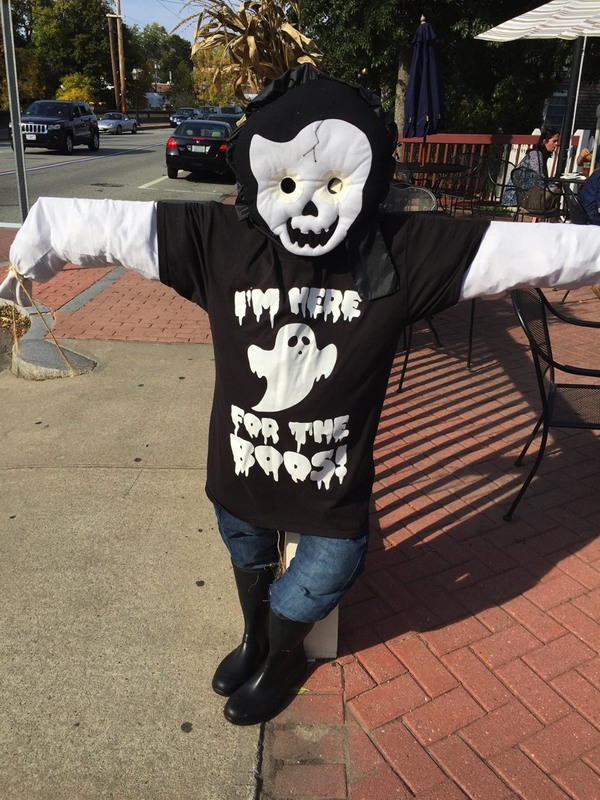 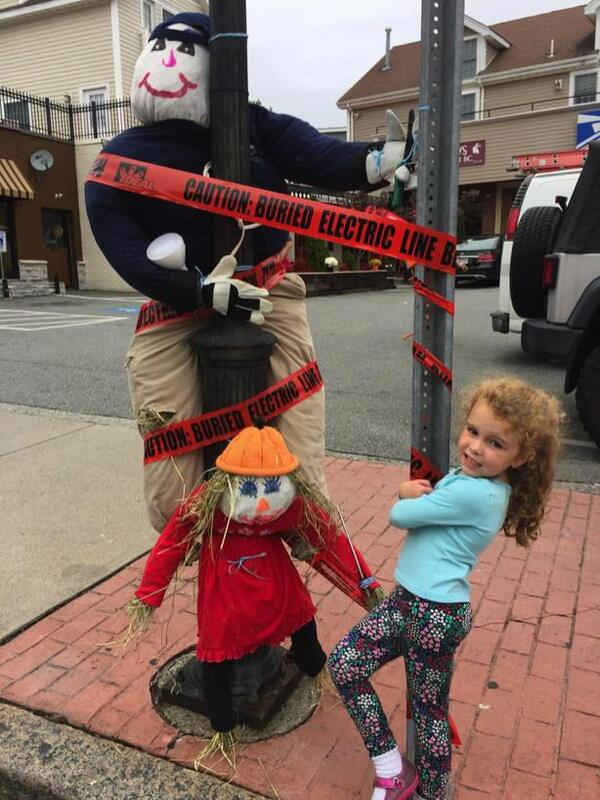 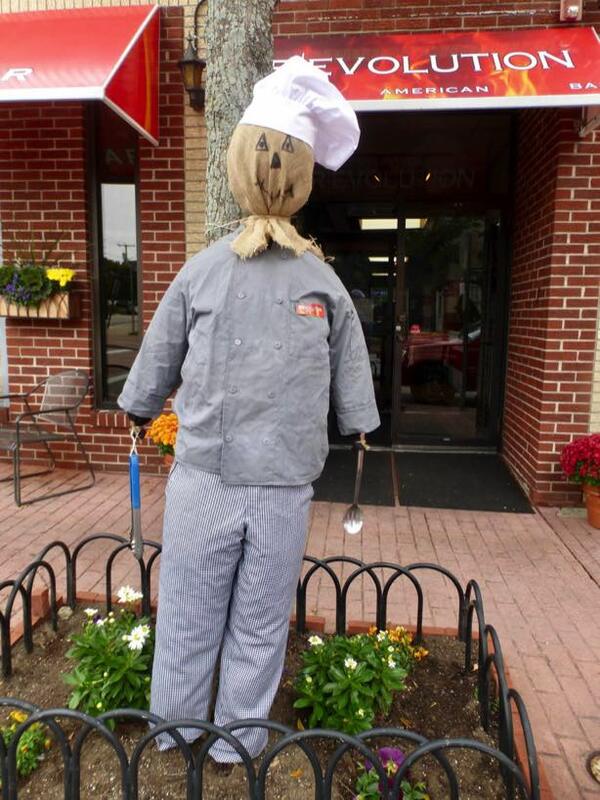 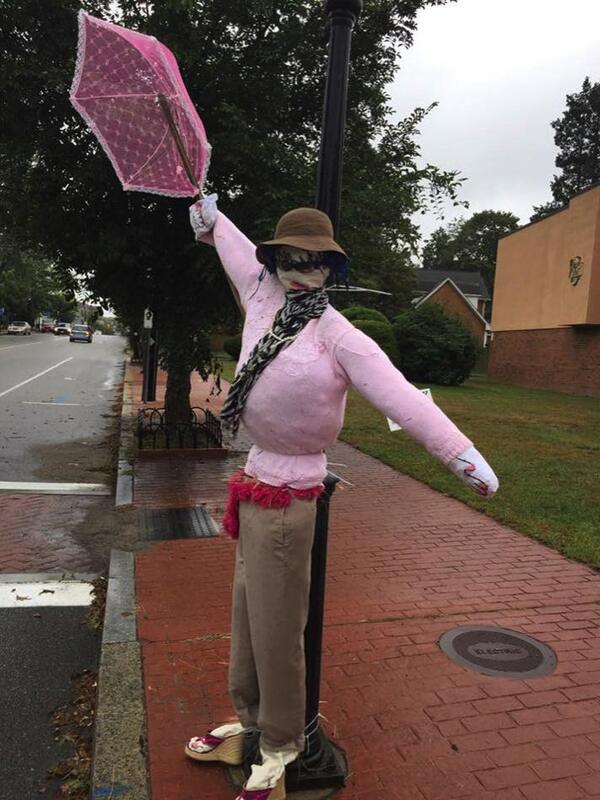 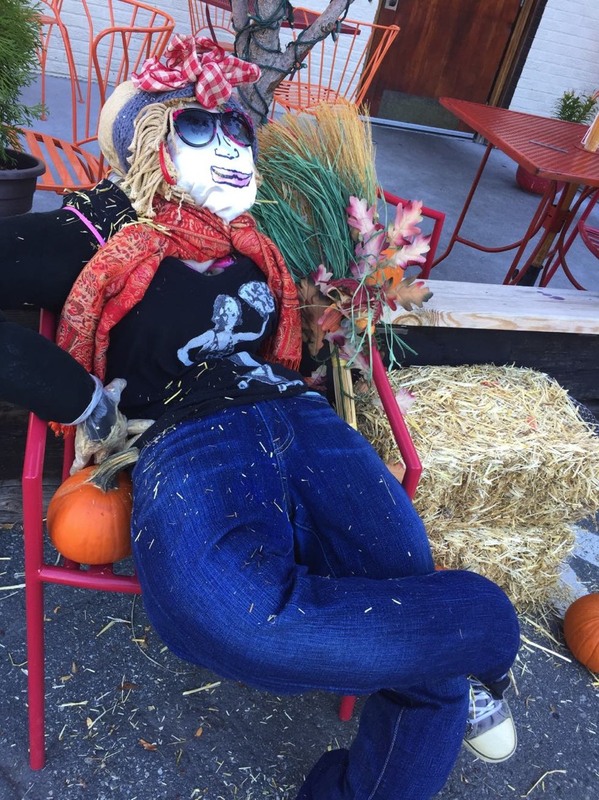 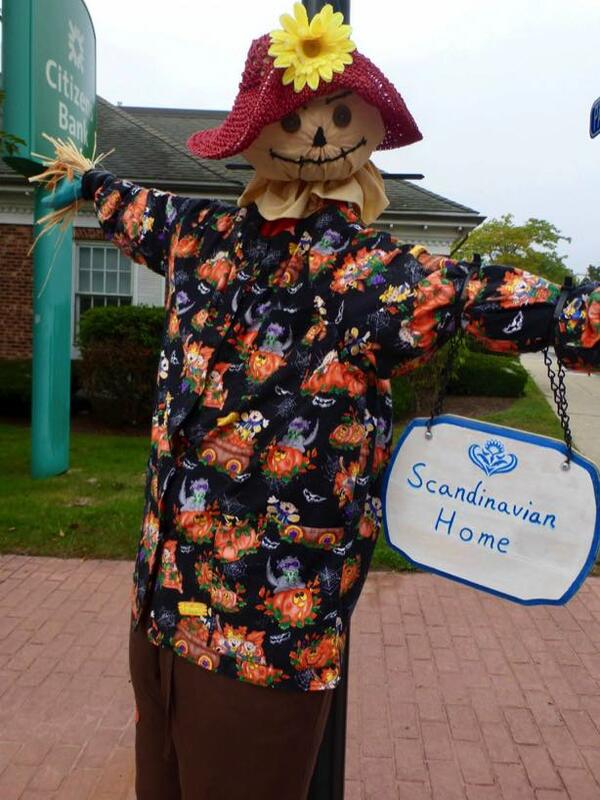 CONGRATULATIONS to the winner(s) of the 2016 Pawtuxet Village Scarecrow Contest. 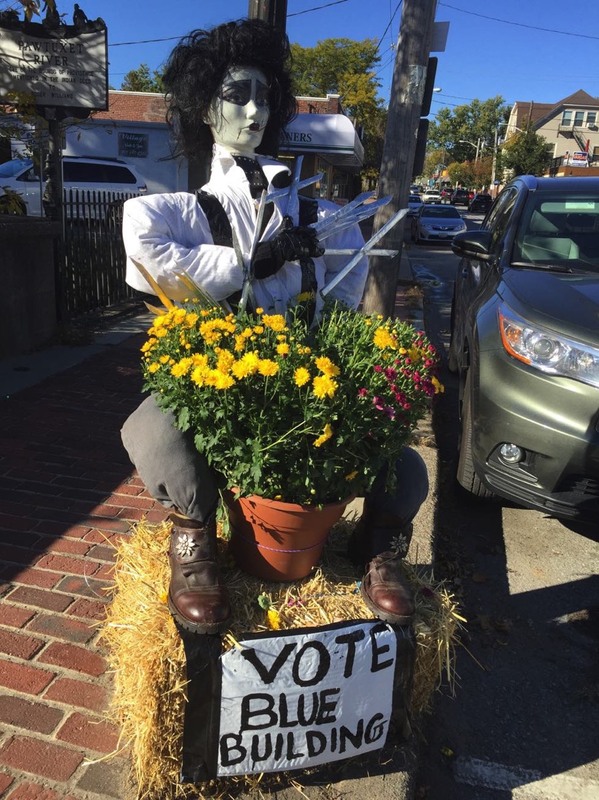 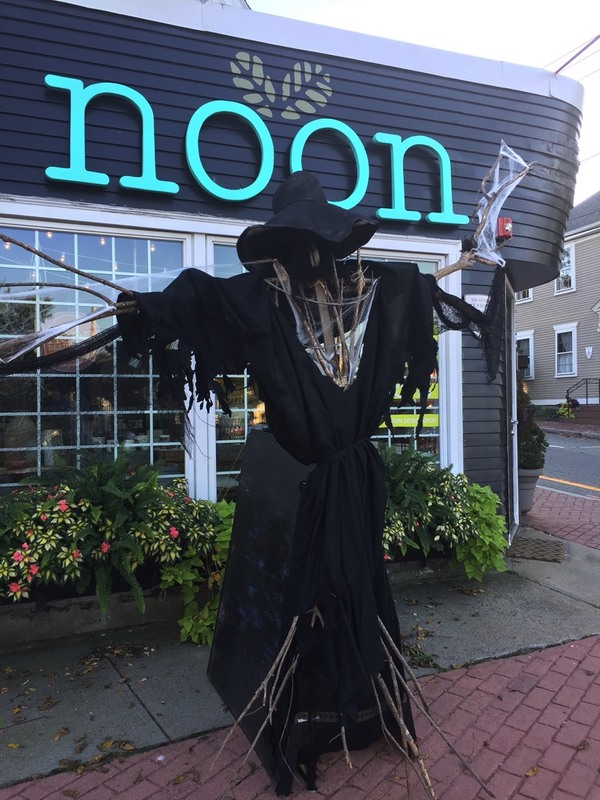 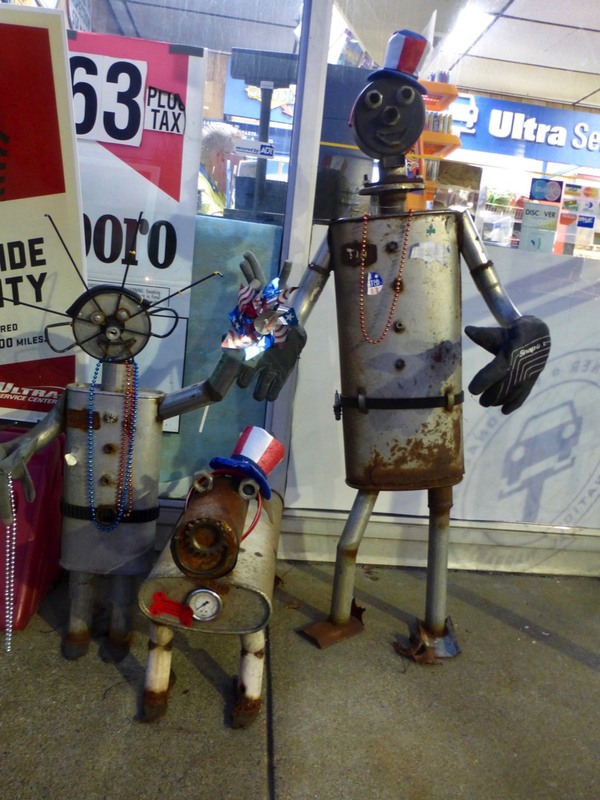 Ballots were collected all month, votes were tallied on Friday, November 4th and in the end, the winner with 113 votes was Remington the Tin Man, created by Lil Mangen and Pam Sheridan, owners of Village Art & Antiques. 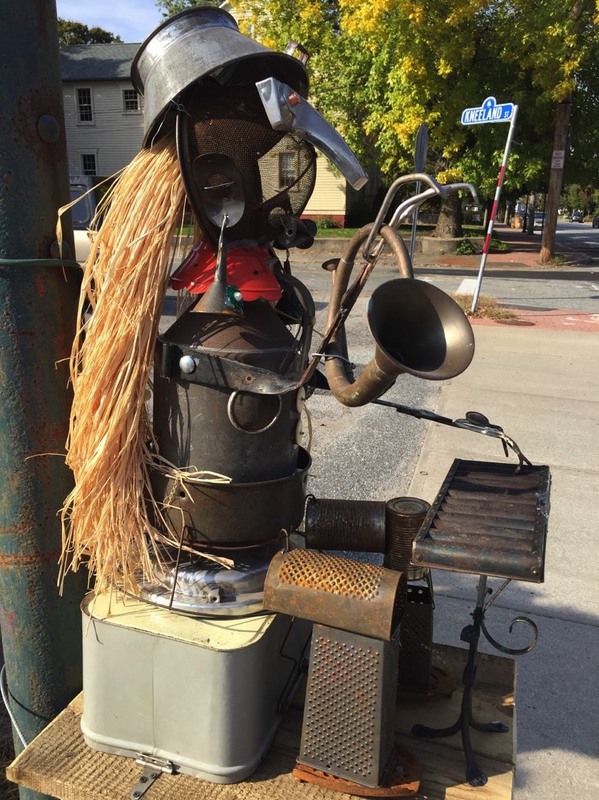 Check out all the entries below. 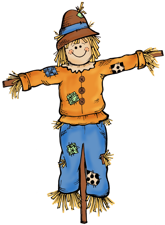 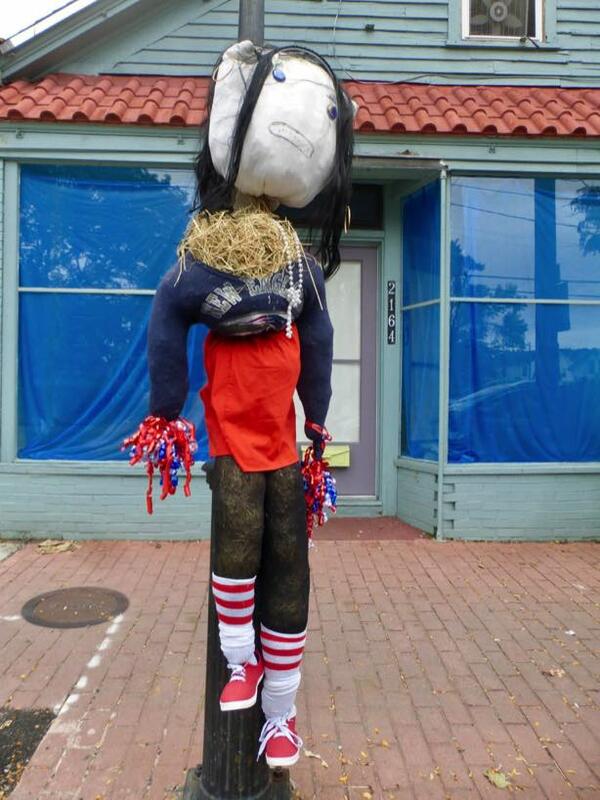 Thanks to everyone who to the time to create a scarecrow, and to join in the fun.